Home Warranty – Yes or No? Home Warranty is an insurance policy purchased through the home closing process to cover major systems in your newly purchased home. It typically costs $300 to $500. 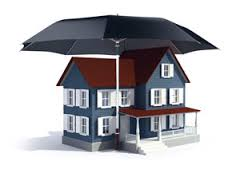 If a covered system fails within the first year, you are covered up to the allowable amount. For example, a client moved into her new home in Federal Way and her furnace kicked the bucket. The home warranty paid $1500 of the $2200 bill. Some clients swear by them. I have found that my clients from California love them, while my local clients typically decline them. Why would Californians like them more? The only thing I can figure is that it’s more of a custom in their area. Each market has its own customs and home warranty is one that comes out of California. My advice is to evaluate the risk of your systems failing. If the furnace and hot water heater are at the middle to end of their life, it might be a good idea. If you are buying a house with new appliances and systems, then save your $300 to $500 for minor fixes around the house.